Clients turn to digital marketing agencies that deliver results affecting their bottom line. They trust an agency that can provide solutions to their problems and drive traffic to their business. Sometimes, instead of providing solutions, we bombard them with data from different SEO tools and complicate the entire process. Showing your worth as an SEO agency requires more than sending tons of reports that your client is not likely to look at and understand—it’s about providing them data that matters to their business. This is where our white label SEO dashboard comes in. One glance at the dashboard and you’ll have all the important data you need for your clients. Why use this SEO agency dashboard? Three words: transparent, convenient, and intuitive. Compared to other digital marketing dashboards out there, this agency platform has a lot of pretty neat stuff that will help you scale your agency, and show that not only do you offer great service, but your agency is technologically superior to the rest. How do you access your SEO agency dashboard? It’s easy — just sign up. We’ve developed a white label dashboard with your agency’s needs and your client’s needs in mind, so everything you need for a successful SEO campaign are in one place. It streamlines your SEO reporting and equips your agency with the technology to deliver solutions efficiently. No need to pull keywords from different places and other digital marketing tools—this white label dashboard consolidates keyword rankings of your client’s website. If your client requests for another SEO project after trying your service, you can refer to the data here for your keyword research. You also get a list of your client’s top performing keywords with their search volume, position, and ranking trend. 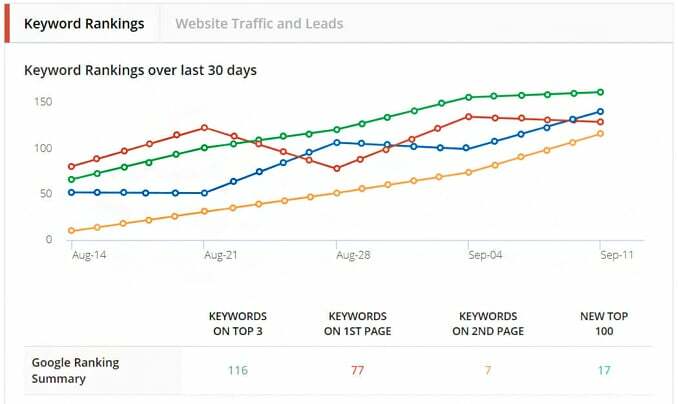 Traffic is a solid proof that your SEO strategy is working, and this dashboard offers that proof. The dashboard has an easy-to-read chart of your client’s search traffic sources – be it organic, referral, direct, or social – over a specific timeframe. 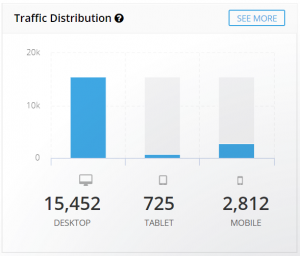 Also, there’s a breakdown of your client’s website traffic according to the device used. So, if you’ve thought about ditching mobile responsiveness, you better think again. You’re missing SEO opportunities that can definitely deliver a great impact on your client’s business. Why look at this? Monitoring traffic distribution can give you insight on the search behavior of your client’s audience and allow you to conduct a more thorough SEO analysis. Meaning, you can focus more on what works and cut out altogether on things that are not important. Here’s an example: if you see that there are fewer visitors accessing the site through mobile, you can optimize the site to make it more mobile-friendly and boost its presence on search results. Knowing your client’s link profile like the back of your hand is part of being a reliable SEO agency. Your dashboard readily displays a summary of your client’s backlinks – proof of your link building efforts. Bonus: the dashboard also displays the technical optimization requirements for the website, such as checking for proper 301 redirects, Robots.txt, sitemap, and malware. The faster a website loads, the better. Do you believe that? Well, you should. Google favors websites that load fast for a reason. User experience is vital for SEO, and ignoring the loading time of your client’s website can lead to a reduced number of visitors. This SEO client dashboard displays website performance in terms of loading times on desktop and mobile. 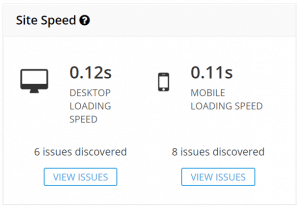 It also detects issues on the website, so you know which areas of the site need your attention to improve loading times and user experience. Monitoring brand mentions allows you to analyze conversations about your client, and our SEO software adds this to your plate. Under the Reputation Management tab, you’ll find the Mentions tool that enables you to track brand names and relevant keywords for your clients. With this feature, you can reinforce your digital marketing strategy. Thanks to Google Analytics, it’s easy to see the most important metrics for your clients and measure SEO efforts. And guess what? We’ve integrated Analytics data in your dashboard for a more thorough look at key SEO metrics – from organic traffic and unique visitors, to bounce rates and conversion rates. With this integration, Google Analytics reporting will be a breeze. It’s important to know how much traffic you’re driving to your client’s website, but it’s paramount to know where they’re coming from. Your dashboard makes it easier to identify where most of the traffic comes from so you can reconfigure your SEO strategy to drive targeted leads to your client’s website. Part of your web analytics should include keeping tabs on the landing pages that are performing the best to provide valuable insight for your clients. If your client asks how effective your SEO is, the information is right here. 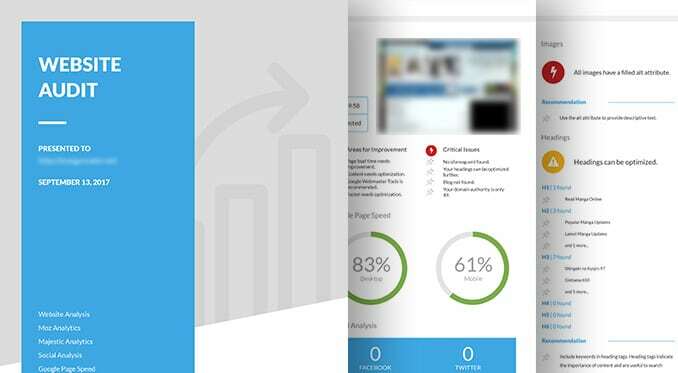 People measure success by the goals they hit, and if you need proof of your SEO success, your agency dashboard can provide it. This makes it easier to calibrate your strategy for more goal completions and show clients how your SEO efforts increase their revenue. Which part of the world do visitors come from? Do they access the site through desktop or mobile devices? What language do they use? Your dashboard can give answers to these. This gives you a more thorough understanding about your client’s audience and allow you to develop a strategy for better SEO performance. The best thing about our white label dashboard? It’s designed to provide value to your clients while helping your agency find new business. Your dashboard has a Free SEO audit tool that can generate an on-page report in seconds. That’s not all – you can add this SEO audit tool to your own website. If you’re in an event, you can audit a prospect’s website on the spot, send them the audit report, and even throw in an SEO proposal to showcase your expertise. All you need to do is download and install the plugin in your WordPress site to get the audit widget, so you can start getting more leads and growing your agency. Because you’re not simply feeding them with SEO data, you’re giving them information that will translate to their growth. Knowing all these features is not enough for your marketing efforts to pay off. Because you’re not simply feeding them with SEO data and ranking their sites on search engines, you’re giving them information that will translate to their growth. Understand the value of these features by heart, turn them into quick wins for your agency, and communicate these wins to your clients. You’ll soon see yourself as not just any SEO agency out there, but the expert that your clients need. Want to see the full power of our white label SEO dashboard? Sign up today to get exclusive access!